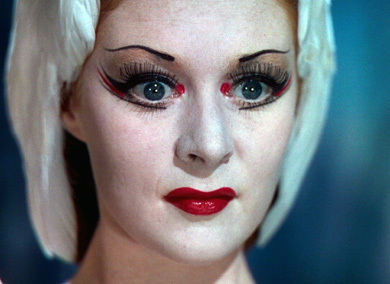 Back in February, I had the opportunity to see the newly restored Technicolor print of “The Red Shoes” as it passed through Seattle on an international tour. It’s a grand, dramatic film with a power that sneaks up on you. It heats so very slowly that by the end the unsuspecting audience finds itself suddenly submerged in a boiling cauldron like one of those dumb, adaptive frogs. But at least Moira Shearer’s poor shredded soul gets put to rest at the end of the film. That was not an unfrequent thought, a few months later, while I watched the London premiere of Rufus Wainwright’s first opera, “Prima Donna,” at Sadler’s Wells in April 2010. Though “Prima Donna” is the story of a stilted, aging opera singer, it still rang like an alternative ending to “The Red Shoes”– only this time we find that the tormented artist has survived her fall to live on by herself in a sparse, oversized room in Paris, where her unsatisfied artistic longings are still holding her prisoner. Life after art may be a fate worse than death – “Prima Donna” doesn’t shrink from that notion – but this haunting night of theater also balances on the possibility of redemption. Rufus Wainwright is said to have used the agitated image of a retired Maria Callas as the source for his portrait of soprano Régine Saint Laurent, and over the years Wainwright has also proven his fierce love for Judy Garland (his reconstruction of her last triumphant concert, in 1961, was his other single-themed full-evening work in recent years), but the essential oomph for this story surely carries the imprint of Wainwright’s own naked, uncontained artistic hopes and understanding. He already composes and sings as if he’s been to the other side – he’s so sorrowful and unfussy and appreciative of life – and he keeps reaching higher and farther with each step. The work evokes this hunger both broadly and delicately. Not unexpectedly, as this is his first opera, ‘Prima Donna’ has been pointed out to have instability and even inscrutability as an operatic construction. As a dance writer, I’m not qualified to judge this. But I can say, from my layman’s end, that I felt that Wainwright’s compositions celebrated both the moment of story as well as each of the singer’s vocal gifts. Yet something (beyond my understanding) left me feeling that the music didn’t built as a whole. Nor did any one song have a lasting effect, they seemed to dissolve instantly from memory once finished. The utilitarian French libretto didn’t help – it often seemed to fall short of matching the poetic qualities evoked by the music. There’s an opera within an opera here: the performance by Régine in as Aliénor d’Aquitaine, her greatest role. Just as “The Red Shoes” has a huge ballet nugget inside to demonstrate the depth of the ballerina’s obsession, when Régine steps into the role of Aliénor we are clearly shown an artist in ecstatic merger with her role. 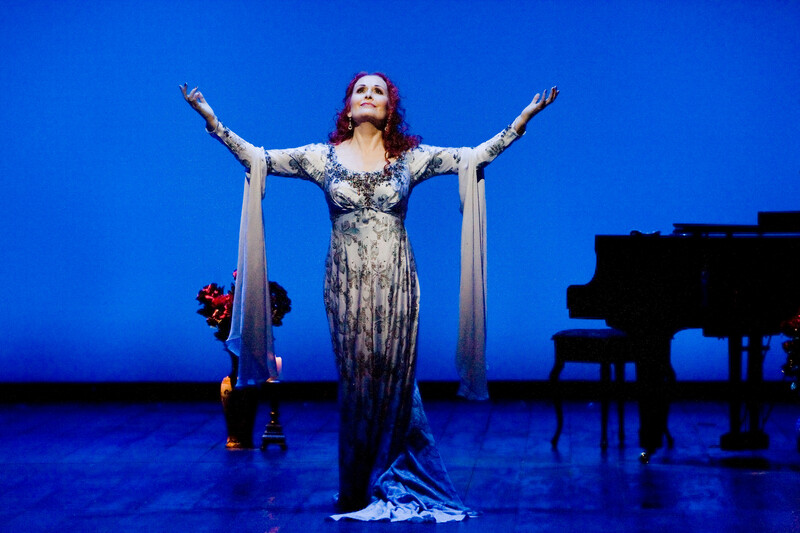 As Régine, Janis Kelly soars as a woman on the edge. Wainwright’s wide range of moods for her – he doesn’t shirk moments of mopey, drama-queen behavior – ultimately comes together to make a tender, full portrait of an artist. Though the story is melodramatic, the arousal of Régine’s courage feels deeply true and moving. In silence, feeling the hope of love’s return, she walks to the piano bench and accompanies herself in song, the shape of the piano swelling before her like the size of her growing heart. I wondered: Are any other opera heroines portrayed as playing their own piano?? I don’t know enough opera to answer. All I could think about was Wainwright’s beloved late mother, Anna McGarrigle, so deeply mourned by Wainwright and so purely alive in this strong, simple image.